"It was a real please sure to talk to host Ric Franzi on Critical Mass Radio Show. His questions were pointed and I felt that he was prepared to conduct a terrific dialogue on a challenging topic. This was the best radio interview I have ever conducted." "I wish to God, I’d had a group like Critical Mass when I was building UGG® US." "Ric truly cares about the people and firms that he works with and coaches." "Ric has been committed to my growth and the company’s success in the 8+ years I have worked with him." "Without Ric, I would still have far too many unanswered questions." "There are other business groups in this space, but none in the class of Critical Mass." "Ric engaged me as a guest and helped me to relax and share my experience as a marketing and PR agency owner." Critical Mass CEO Peer Groups® create a unique environment for the proven concept of peer learning for business executives. 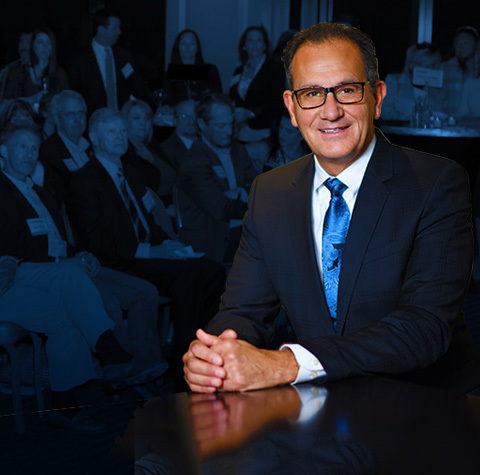 Middle Market CEOs & Executives benefit from Ric's 30+ years of experience, which he translates to sound judgement and guidance. A talented radio show host, Ric's high energy and dynamic personality also make him the first choice for many Orange County companies. 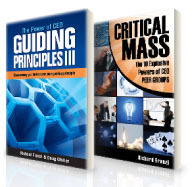 Ric Franzi interviews business executives from across the U.S. and Canada on the Critical Mass Radio Show.